You probably read the title and thought, “What’s a newspaper? ?” Remember those things you would get on Sundays in the mail… big giant gray sheets folded twice with the news and a bunch of ads? Okay-okay, I’m only kidding (maybe). But in all seriousness, I want to share with you a newspaper ad we put out fishing for potential homeowners who are thinking of selling their homes. So that’s why I want to show you this ad. 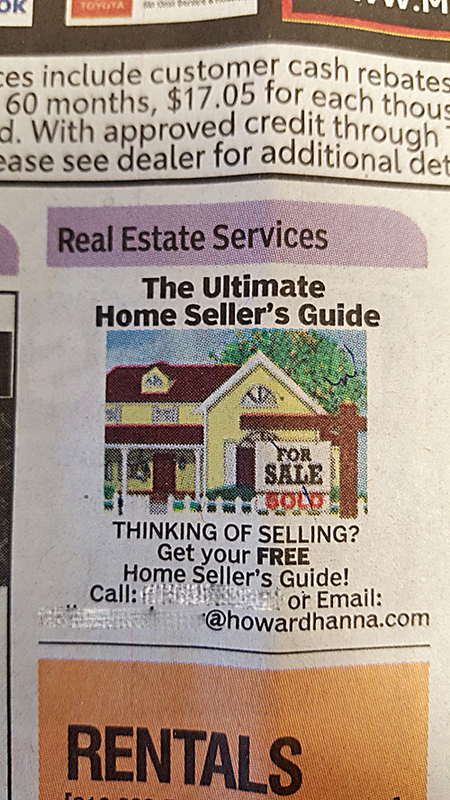 It’s an ad offering a free Home Seller’s Guide. The guide is the lead generation magnet to get potential homesellers to raise their hands. It’s a pretty simple ad. There’s the title of the guide, a picture of what you get, asking a question (calling out potential homesellers), and a call to action. Also, the ad was pretty much placed smack-dab in the middle of the page! 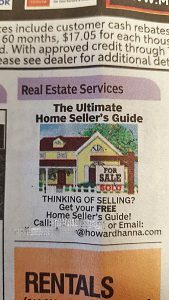 We actually received two phone calls requesting the Home Seller’s Guide. Did you catch that? Two PHONE CALLS. Not emails. Phone Calls. They picked up the phone and called (That’s another lesson… people still use a phone to order!). When I spoke with homesellers they were definitely older, much-much older. So the demographics are definitely the older crowd. As of right now, we haven’t gotten a listing from either one, but we are playing the follow-up game. But, the ad did do it’s job. Not to sell the service but to get the leads! Oh, and that’s the thing about marketing… You need to hangout where your potential customers and clients hang out! 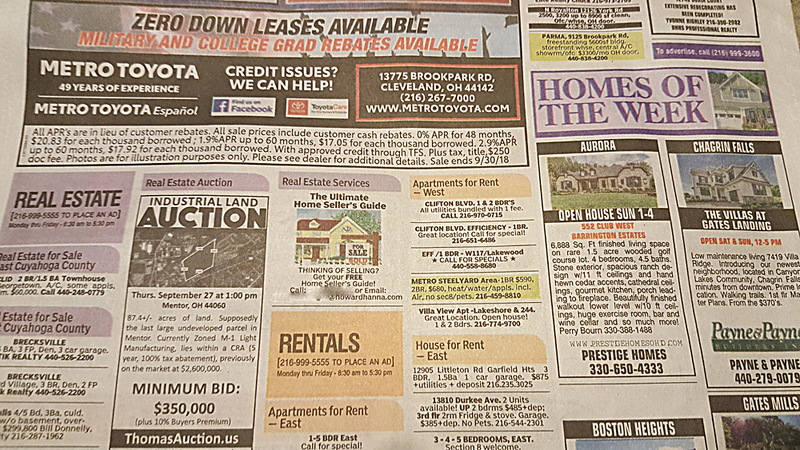 If you’re marketing to the older crowd then the newspaper may be the way to go (Heck, I even know of people who are having great success with the Yellow Pages). So there you have it. 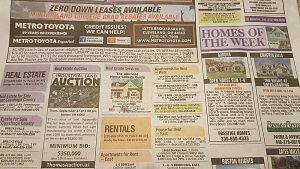 I just wanted to share this with you to let you know newspaper ads still work! Don’t cross off ANY form of marketing media until you test-Test-TEST! It’s all about who’s your target market, and if your target market will respond to “ancient” style marketing, then you better be doing this “ancient” style marketing (And you’ll probably be the only one doing it, and rockin’ it at that!). Now I’m curious, have you used any newspaper ads before? If so, what were your results? Comment below and let me know.